JUNIOR INNOVATION MINISTER Seán Sherlock has launched an online questionnaire as part of his department’s review of Irish copyright law. The questionnaire is designed for interested parties to offer responses to the consultation paper issued by the Copyright Review Committee, chaired by Dr Eoin O’Dell from TCD, published last week. That committee published its consultation document last week as part of its task of identifying barriers which hinder innovation in Irish enterprises, and to see whether the US-style doctrine of ‘fair use’ should be applied into Irish law. Input from the committee’s consultation could be wrapped into a new suite of copyright laws being planned for later in the year. Sherlock said he hoped interested parties would find the online consultation “helpful” and that he would welcome any similar initiatives undertaken by other online groups. “The wider the consultation on the Committee’s work is, the better the outcome will be,” he said. The launch of the online questionnaire comes after Sherlock faced criticism for directing feedback on the consultation paper through the Irish Internet Association, which said its limited resources meant it would have to prioritise the input of IIA members. Sherlock said the IIA would still be “providing an online mechanism to collate its members’ views and to gather the views of others on the Paper”. Eoin O’Dell said he hoped that “discussions will engage with the issues in our Consultation Paper, and that those who are interested in doing so via the internet will participate in our online questionnaire”. The consultation paper was published by the committee last week, alongside confirmation that jobs minister Richard Bruton had signed a controversial new statutory instrument dubbed by opponents as the ‘Irish SOPA’. 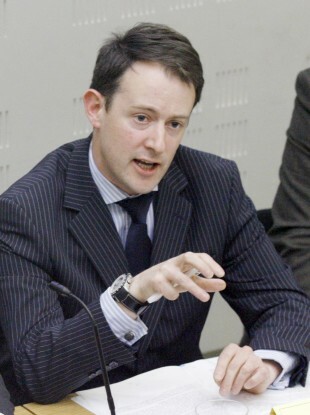 In an interview with TheJournal.ie last week, Sherlock acknowledged that the outcome of the copyright review could lead to new legislation which would render the ‘SOPA’ instrument – which allows copyright holders to seek court injunctions against sites hosting copyrighted material – redundant. Submissions to the committee can be made via the questionnaire or directly to the Department of Jobs, Enterprise and Innovation before Friday 13 April. Email “Sherlock opens online consultations on new copyright law review”. Feedback on “Sherlock opens online consultations on new copyright law review”.